Dr. Sandra DeLeon, D.D.S. ■Dr. Tim Johnson, D.D.S. At Johnson Dental we love helping patients of all ages achieve the healthy, beautiful smile they deserve. Our practice is a warm and family friendly environment with a wide variety of general, cosmetic and restorative services available. Our doctors will listen to your concerns and find a conservative, personalized treatment plan that works to meet your unique needs. 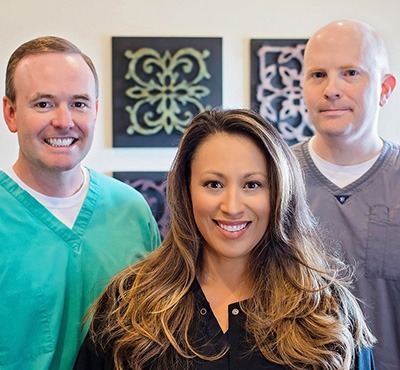 Our group of dentists and auxiliary staff will strive to make your visits as enjoyable as possible while providing you with the latest technology and quality results. Contact us for an appointment today. We always welcome new patients. After almost 18 years in Copperfield, we are excited to announce the opening of our second location! With this addition we hope to be able to serve our patients in a more timely manner. We look forward to making you and your loved ones a part of our oral healthcare family. © Copyright 2015, Johnson Dental. | Site designed and maintained by TNT Dental.